iSelect is making big investments into a single view of customer and martech initiatives as the company moves to “unlock insights” and deliver improved customer experience, according to iSelect CEO, Scott Wilson. The news comes as the company confirmed its CMO, Geraldine Davys, has left the organisation after less than 18 months. Wilson told CMO building a single customer view across platform will unlock the ability to view and value customers differently and target marketing investment accordingly, delivering more efficient and effective marketing. 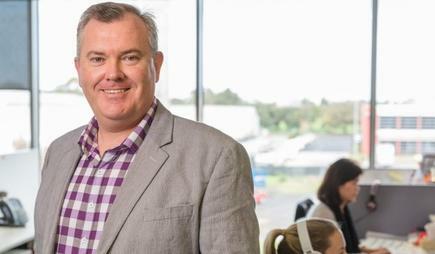 In its latest half-yearly results, iSelect’s revenue was up 7 per cent to $83.3 million, driven by a combination of five per cent growth in customer leads, strong conversation rates and a 6 per cent increase in sales units. Wilson highlighted strong growth in underlying earnings, with EBIT up 23 per cent to $3.5 million, reflecting improved customer engagement through newly implemented technology and economies of scale. Wilson said marketplace growth was driven by a host of technology initiatives. On the martech front, the company completed investment in iSelect’s proprietary iConnect platform, which is generating increased leads, enhancing customer experience and increasing cross-service ability. iSelect consultants are now interacting more closely with customers through a 360-degree single view of them on the platform, Wilson noted. “We are seeing the early benefits of iSelect’s technology investment flow through a greater number of high quality leads and increasing revenue per customer,” he said. Other investments include a martech stack that enables customer-first marketing solutions and automation at scale; R&D investment to develop and deploy iConnect for marketing in the next quarter; appointment of a new creative agency partner – The Royals; and further marketing activities to address the challenging health market. Wilson said the overall goal of having a single view of customer is to gather deeper insights from a multitude of data, thereby giving customers improved customer experience. “We know by targeting the right customers, at the right time, with the right channels, and making that contextual through the single view, we can really start to improve that for the customer and get a better outcome,” he said. Over the last 18 months, iSelect has sold insurance policies or connected energy to more than 1.6 million Australians, but has gathered data on over 11 million. “We use that as part of our iConect platform, which is a series of 15 pieces of proprietary machine learning or AI," Wilson explained. "Over the last 18 months, we’ve replaced seven custom-built CRM systems and put in Salesforce over the top to unlock all of that single customer view. For example, the data science team has built machine learning software that matches the customers’ metadata. Instead of relying on individual pieces of data, such as name, phone and email, it gathers insights by taking it all the way back to the original query or keyword. Specifically, it helps iSelect understand the value of each customer, Wilson said. Normally, an automatic bidding platform will give an average cost per lead, average customer, and who’s buying a quantity at a certain price. “In our case, we are now starting to value the individual customer. We might be bidding, for example, on a auction in broadband, but we can now see that that customer has gone on to buy energy and we start to value them differently,” he said. Wilson said the in-house data science team will work exclusively on R&D in marketing and martech this year. Key priorities include cross-selling multiple products, product recommendations and automation, as well as the bidding platform in real-time using the metadata. Building AI-driven chatbots and other service models will also change the customer experience and guide and prompt customers to a host of service options, Wilson said. Meanwhile, Wilson also confirmed to CMO the company is looking for a new chief marketing officer in the wake of Geraldine Davys’ departure late last year. Davys clinched the role back in July 2016. “We have a strong group of leaders within the iSelect marketing team led by our group executive for marketing together with our head of digital," he said. “In due course, we look forward to welcoming a new CMO on board at iSelect to drive further success within our marketing team.